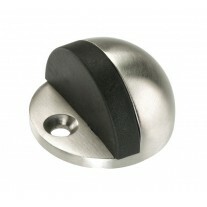 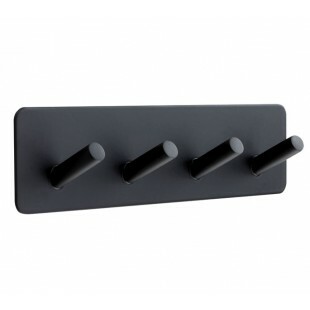 These matte black coat hooks for coats, robes and towels make a bold impact in any contemporary space. 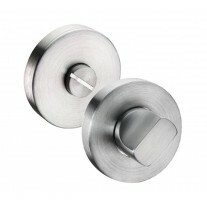 Perfectly suited to bathrooms or stuck on the inside of a full-length wardrobe door they provide a solution for hanging almost anything. 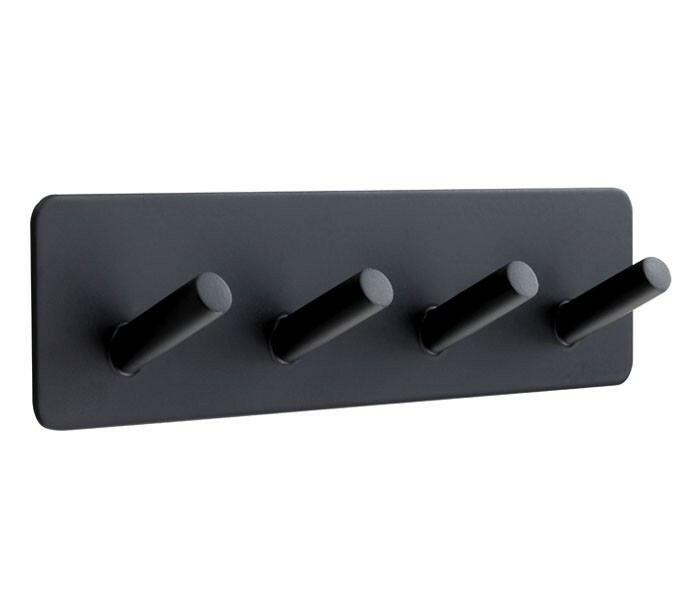 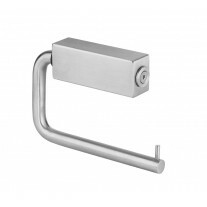 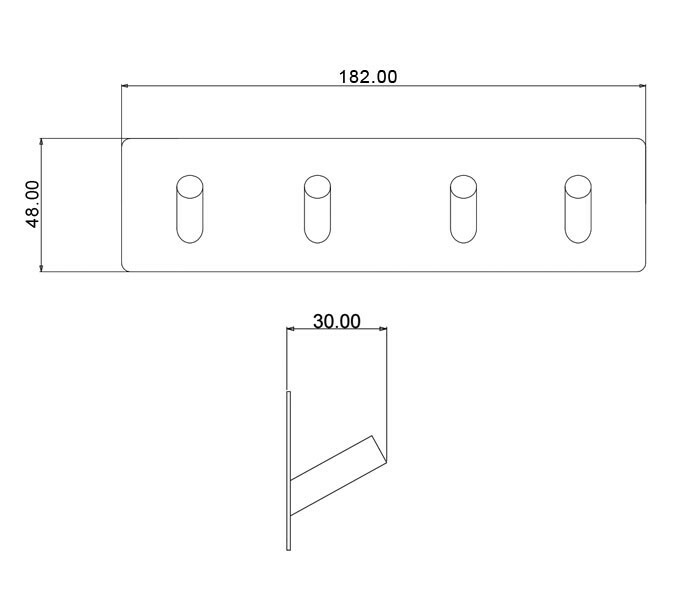 Black coat hooks feature four pegs on a self adhesive rectangular backplate making them super quick and easy to fit to walls or doors no matter the surface finish.